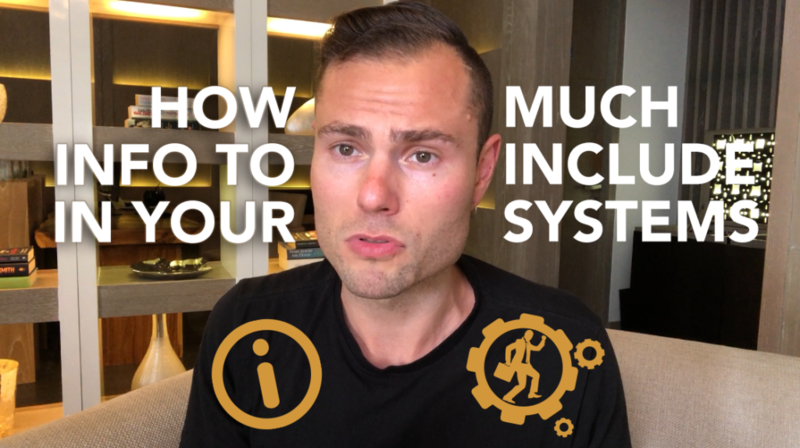 When creating systems, you may sometimes find yourself struggling on too much information and what kinds of information you need to put in place, but more so, the amount of information that you have already put in. Is it too much, so as to create information overload among your audience? Or is it too little, such that you do not achieve your intended level of learning for them? This dilemma becomes particularly crucial once you wish to delegate tasks across your team members which include a system that processes information in order to create the desired output. You can come across all sorts of systems and find yourself understanding some part of the process, but not the entirety of it. This is the case when you need more brief as to the background and context of the systems that you are working at. The reason behind this is that some system makers tend to assume that their audiences already have a particular level of knowledge as to the processes that they are introducing in their systems. Apparently, not all of your audience knows your processes the way you do. So the best way to address this confusion and tendency to be vague is that when you create your systems, have your audiences’ need in mind. Relate to them much as you would relate to a beginner who came across your system the first time. Think about how elaborate you need to be so as to get the proper messages across and not leave anything behind. Take note of the important parts of your processes and make sure that you give them proper emphasis. Manage the pacing and do not pre-empt your audience’s level of understanding. Take it one step at a time, but be careful not to be dragging so that you do not lose your audience’s interest on the subject matter. Have you already thought carefully about your audience and exercised diligence as to the level of information in your system, but you still need a way to verify whether your strategy is indeed effective? Check the outputs of your audience. If you are able to observe a pattern of output which is reliably consistent, then more likely than not, you are providing the right level of information. However, if some of your audience produce a more detailed, while the others produce a less thorough output, then the information that you provide in your system is likely vague. So in line with thinking about the level of knowledge of your audience, also think about their output. Ensure that your systems are geared toward the ultimate objective of creating high quality and consistent output across all of your audience at all times. This way, you can be sure that your system is effective and well-organized. At the end of the day, the users of our systems should be our topmost priority. We need to create our systems and place information which is both comprehensive enough, yet concise, so as to help our audience learn more and produce better outcomes.